Do you always aim to please? Do you like to meet new people and want to deliver exceptional service? Then your guest service representative resume should reflect your exceptional people skills and ability to provide outstanding customer service. In your resume, you should highlight the duties you performed in other hotels, including the processing and documenting of guests. This job requires the patience and willingness to explain to guests what amenities are available at the hotel as well as answer any questions they might have. 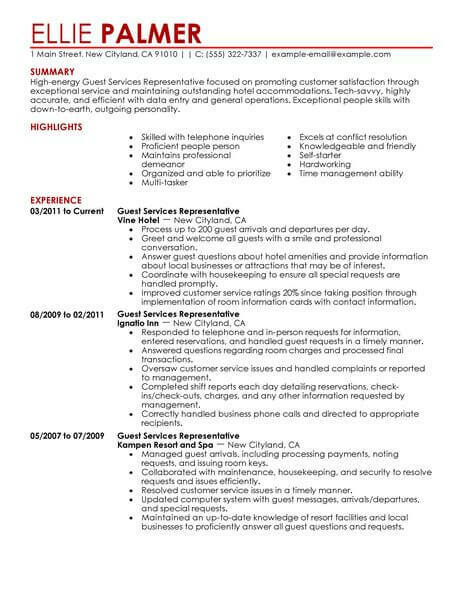 Your ability to do this with ease and professionalism should be showcased as indicated in our guest service representative resume example. Are you good with people? Have a calm, service-oriented demeanor? A guest service representative for a hotel needs to be all that. They also need a great resume to get hired. 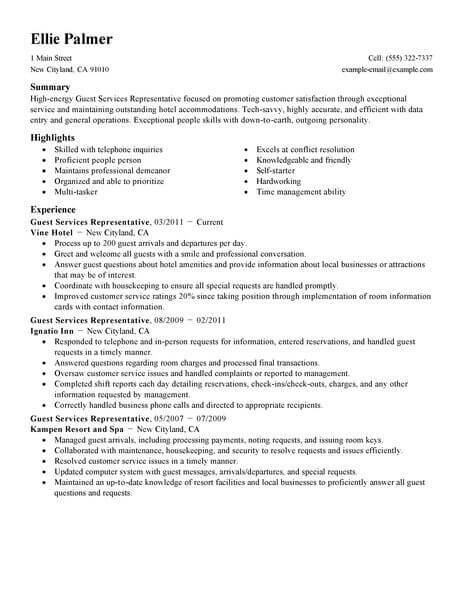 Our resume examples have been designed specifically for guest service representative positions. Use them as a starting point for creating your own job-winning hospitality resume. Click on any of the resume examples below now. As is the case with many industries, finding jobs as a guest service representative can be challenging, and it takes the right mindset and skills. Follow these tips to help make your search easier and more productive. 1. Put together a plan and stay positive. Do something every day that will enhance your job search. Although rejection is tough, it is important to keep a good positive outlook through the process. The right job may be right around the corner, so don’t give up. 2. Consider temporary work. While a full-time position is preferred, don’t be afraid to accept a short-term contract or other temporary position. This allows you to show off your talent and skills and may lead to more work with the company. It is also a way to make money while you search for a more perfect job. 3. Consider your options. Don’t narrow your search to similar positions in the same industry you have worked before. Also look for opportunities to use your skills in a different industry, or build new skills to apply for a completely new job. 4. Be persistent when looking for jobs as a guest service representative. Attend job fairs, read professional journals, go to career orientations, sign up for interview workshops, and take advantage of other resources to help set you up for success. 5. Set up LinkedIn, Twitter, and Facebook accounts in order to take advantage of online resources and contacts. If you already have social media accounts, make sure that they are professional and show you in a positive light, as many hiring managers screen the accounts of potential job candidates. 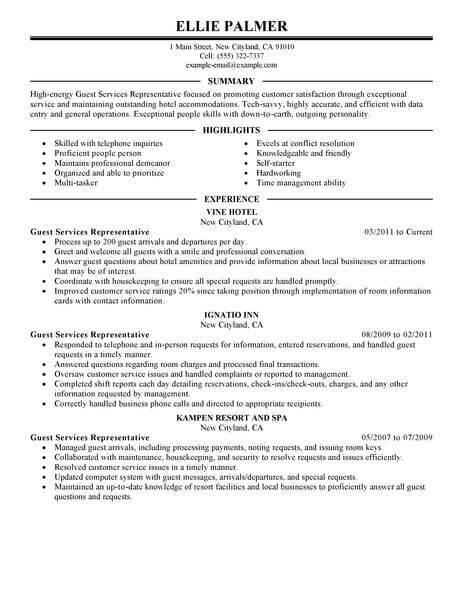 Your resume is an important part in your search for jobs as a guest service representative. Make sure your resume is up-to-date and provides the relevant information to help you land your dream job. 1. Search the internet for sample resumes so that you know what a strong resume looks like. While there are templates that you can download, it is often better if your resume stands out from others. 2. Include contact information, but don’t put too much in order to prevent identity theft. Include name, city and state, one phone number, one email address, and a website address if it is relevant to the position available. 3. Make sure your resume has a sharp focus. Use bulleted lists and keep paragraphs to a minimum. 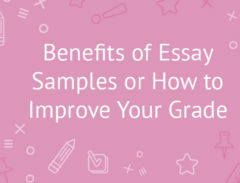 You may also choose to include a profile or summary of qualifications section. 4. Always proofread your resume to make sure there are no misspellings or grammar errors. 5. Instead of listing job responsibilities, talk about accomplishments and use action verbs such as collaborated, awarded, allocated, improved, etc.